In 1991, the United States bestrode the world as a victorious Gulliver, seemingly more loved than feared. 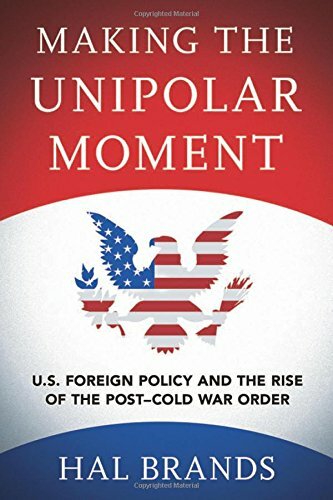 The unprecedented power of the “unipolar moment” makes it easy to forget the pessimism that dominated U.S. punditry two decades earlier. In a sweeping, three-decade account, Hal Brands argues that U.S. foreign policy rebounded from post-Vietnam “malaise” by taking advantage of three underlying favorable trends: gradual Soviet weakening, incipient globalization, and the growth of pro–human rights civil society. U.S. policymakers did not directly create these forces, but their statecraft turned them to U.S. advantage. In Brands’s telling, President Jimmy Carter recognized these trends but lacked coherent policies to take advantage of them. In contrast, President Ronald Reagan is heralded for an effective mix of bellicose rhetoric, military spending, and aggressive responses to perceived Soviet gains in the “Third World” during his first term, followed by a relaxation of tensions on his terms in his second. Brands shows President George H.W. Bush as an expert manager whose reactions to fast-moving events were united by consistent beliefs. The book covers fairly familiar territory—Soviet decline, nuclear competition, neoliberal emergence, and Third World clashes—but Brands is effective when twisting distinct threads into a single yarn. The book synthesizes political economy with diplomacy and military technology. Although often celebratory in tone, Brands is quick with a caveat to recognize U.S. foreign policy’s limitations and negative consequences. For example, he notes the danger inherent in Reagan’s drive for nuclear superiority, which by 1983 had created a climate ripe for apocalyptic miscalculation, despite seeing it as contributing to U.S. success. He also credits Reagan’s policies for building on trends of democracy and human rights but fails to deal fully with the inherent contradiction. Disregard for human rights and democracy was central for Reagan’s Third World policies and allies; Reagan’s later shift to champion human rights did not apply in many parts of the world, as Stephen Rabe’s The Killing Zone demonstrates regarding Central America. Brands writes smoothly and accessibly, with a gift for summing up a major point in a well-turned phrase. These virtues, along with its broad focus, will make the book useful for teaching advanced undergraduates and master’s degree students. However, one may want to pair it with works that are skeptical that “constructive engagement” with apartheid South Africa should be seen as “sophisticated and nuanced” (p. 163) or that Reagan “sincerely wanted democracy in the Philippines” despite his lasting support for Ferdinand Marcos (p. 154). Ultimately, Brands’s admirable synthetic effort leaves some crucial ques- tions unanswered. There is little attempt to assess the comparative importance of various trends and policies. Which U.S. actions really served to undermine Soviet power and which were gratuitous? Given the limited Soviet stake in Central America, for example, it seems unlikely that unbending U.S. policy there greatly contributed to the Soviet Union’s demise while inflicting tremendous human costs. Brands notes the inability of the United States to turn power into desired outcomes in the Middle East, but he sees this largely as an effect of unfavorable structural trends. Making the Unipolar Moment stands as a successor, both chronologically and conceptually, to Strategies of Containment. Like John Lewis Gaddis’s classic, Brands offers an account of policymakers’ perceptions and actions that to an extent shares in their superpower focus and ensuing triumphalism. However, Brands’s treatment of strategy is much more fluid. “Strategy is inherently iterative,” he argues, “combining a long-range vision . . . with a degree of trial-and-error adaptation” (p. 12). That is undoubtedly true of policymaking, but it risks making strategy so broad that most mistakes can be (and in the treatment of Reagan often are) cast as positive precursors to recalibration.